Powell River is a wonderful place to be any time of year. When snow comes down, we spend most of our time up the lake at our cabin cozied up to our woodstove. All of the wood gathering and spitting during summer and fall really pays off. This is a picture of "The Notch" on Goat Island. We can see it from the front porch of our cabin. In winter, it remains in perpetual shadow from top to bottom. You can go on a hike "Up the Notch" with Wayne in Up the Winter Trail now available by clicking here. 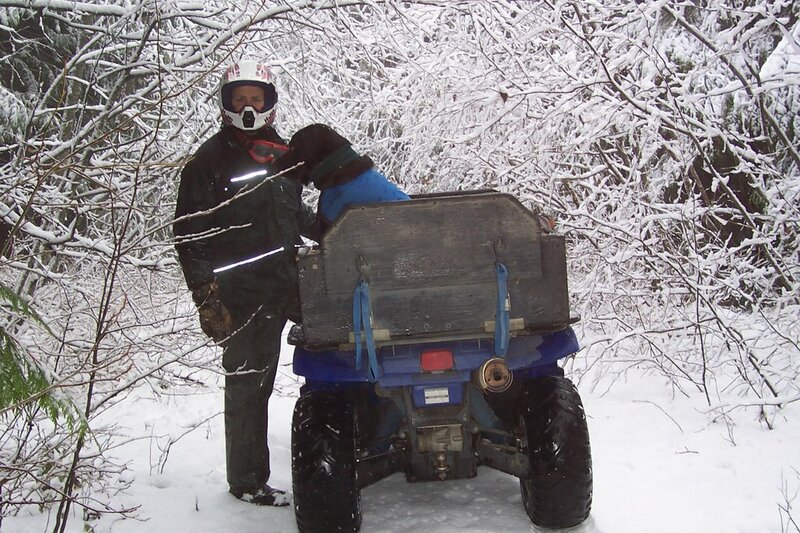 One of our favorite winter activities is quad riding to snow in the back country. 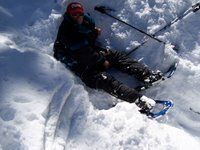 From there, snowshoes allow us to explore quiet and pristine snow covered trails. On many such trips we travel with our friend John and his dog Bro. 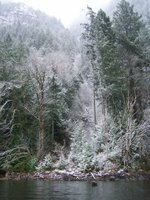 Include Powell River in your winter vacation plans so you too can enjoy our beautiful land. 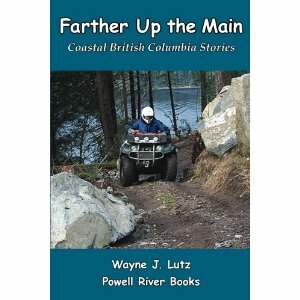 Up the Winter Trail was formally launched today at the Powell River Fall Festival of Writers in 2006. 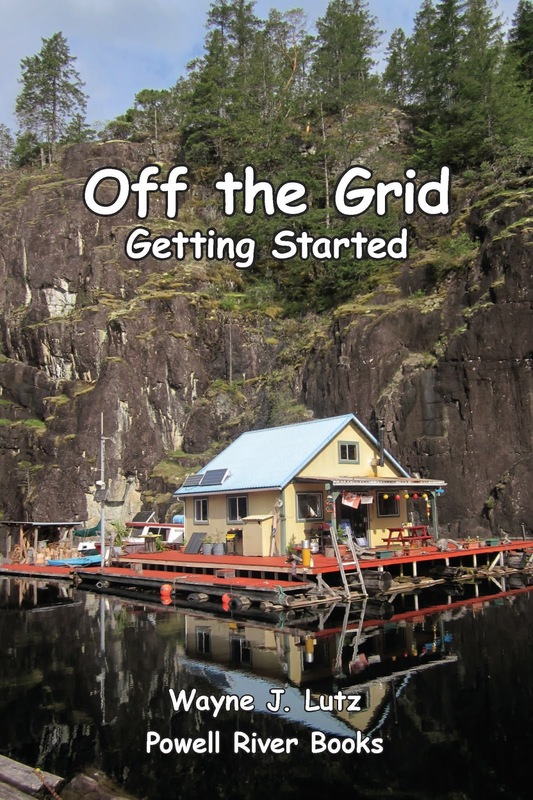 The book is available at stores in Powell River including Coles and Breakwater Books. It's also available online at PowellRiverBooks.com or directly from online vendors such as Amazon and Kobo. 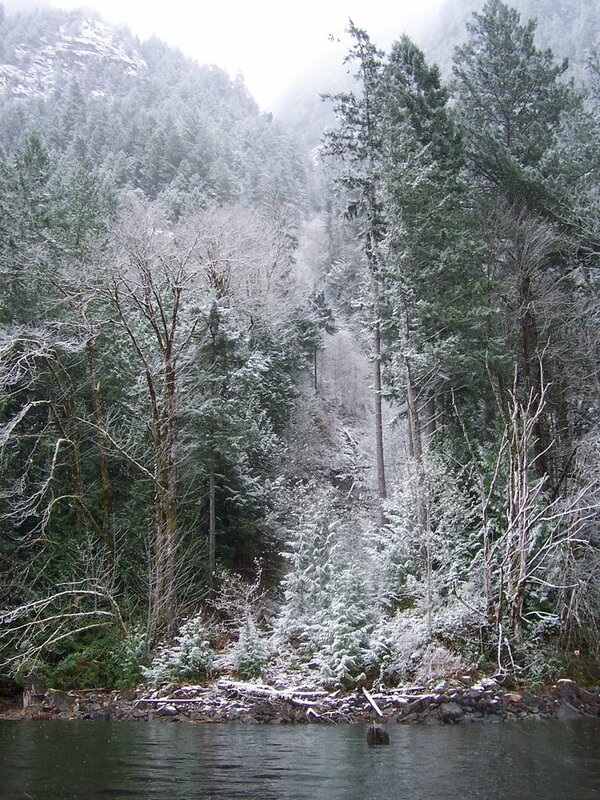 Get ready for a winter of fun, or begin preparing for your visit to Vancouver and the Sunshine Coast. And don't forget, books make wonder holiday gifts. 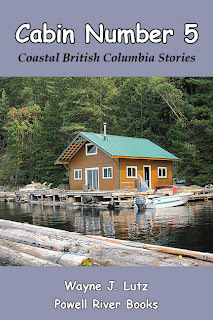 Many authors call Powell River home. 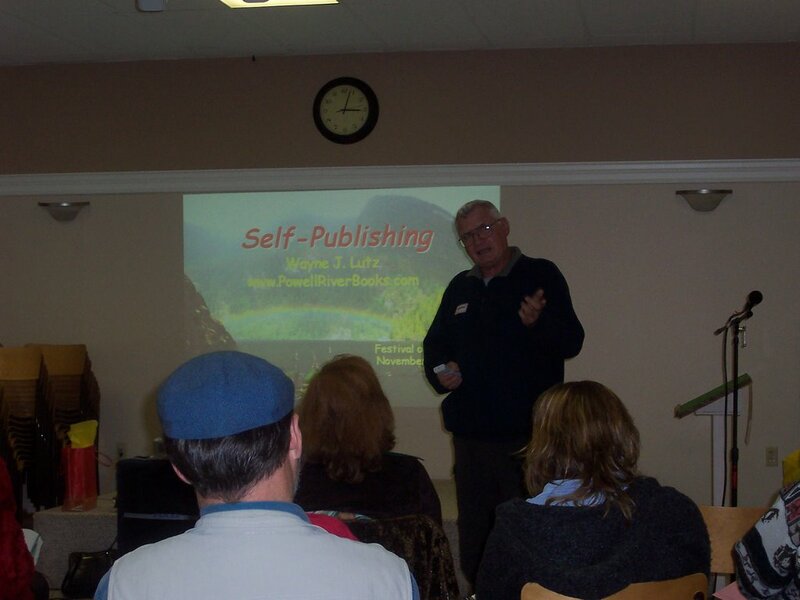 The Powell River Festival of Writers, a not for profit society founded by Barb Rees, Allan Brown and Roger Whittaker, hosts fall and spring workshops that bring together experts and local talent to celebrate and learn about the art of writing. 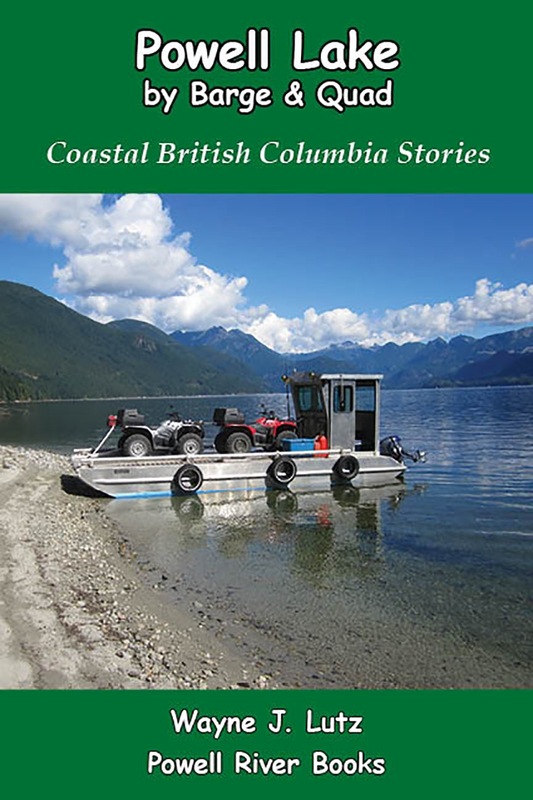 Guest speakers included: Daniel Wood, renowned author and journalist, Sheila Munro, national bestselling memoir author, and Wayne Lutz, author of the Coastal British Columbia Stories series.